Hosting for your TheHostingTool website that just works. Servers optimized to give you the best TheHostingTool experience possible. We’ll even install TheHostingTool for you! We’ll move the TheHostingTool site for you! Softaculous auto-installer – Install TheHostingTool in just a few clicks. GD support – Needed for many TheHostingTool plugins. Zend and Ioncube support – Needed for some TheHostingTool plugins. 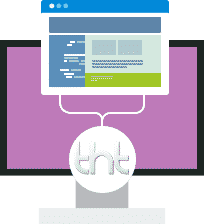 TheHostingTool was launched on the 3rd of December 2008 aiming to provide the next generation in free, hosting applications. It provides you, the webhost, near complete automation on everything you want it to do. So that means, signup, monthly posts checking, suspension, and termination. While it does that, it provides client features, like the client control panel that gives the clients the power to manage their account. In addition, they can check their monthly forum posts, edit their details, and check announcements. TheHostingTool also has relatively frequent updates and great support from a growing community.